The Multimeter is designed to measure the voltage and current of fuel cells, electrolyzers input and solar panels. 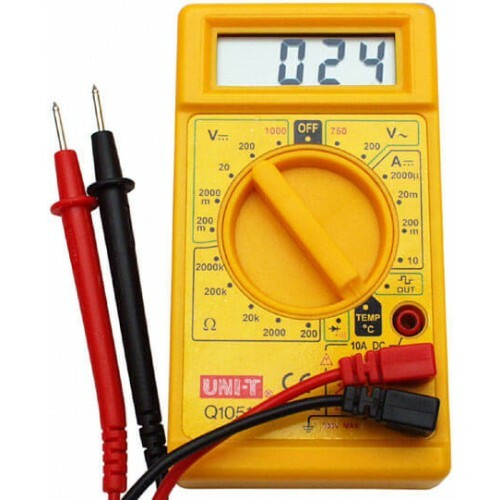 Measures DC and AC Voltage, DC Current and Diode and attaching a K type probe (not included) will allow users to measure temperature as well. A convenient knob audible continuity and well marked settings make measurements a breeze. Use this multimeter to test and record the different electrical inputs and outputs of your fuel cell system.